Do you want to make sure that you are able to get the highest degree of use possible out of your grill? 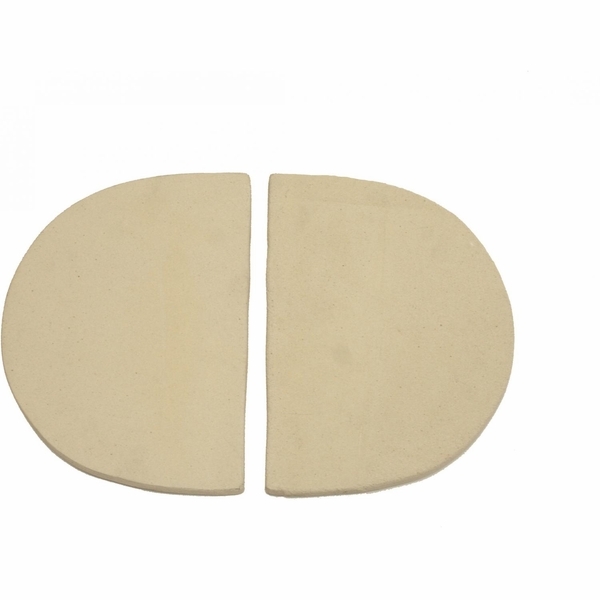 If so, then you need to purchase immediately the Primo Set of 2 Ceramic Heat Deflector Plates for Oval Junior Ceramic Barbecue Grill. From easy installation to creating a radically transformation in both the use and efficiency of your grill, you could not find a more perfect addition to revolutionize the way you grill your meals! WARNING: Burning charcoal in this product can expose you to checmicals including carbon monoxide which is know by the State of California to cause birth defects or reproductive harm. For more information go to www.P65Warnings.ca.gov. If you are cooking ribs, shoulders, chicken, or briskets, this charcoal works especially well. If you enjoy slow cooking, this works great! This product was a little pricey, but is still worthwhile. It goes well with the Primo. One of the nice things is that you can bake a wide variety of items. It makes a great addition to any grill! If you are interested in smoking your food, these work great. 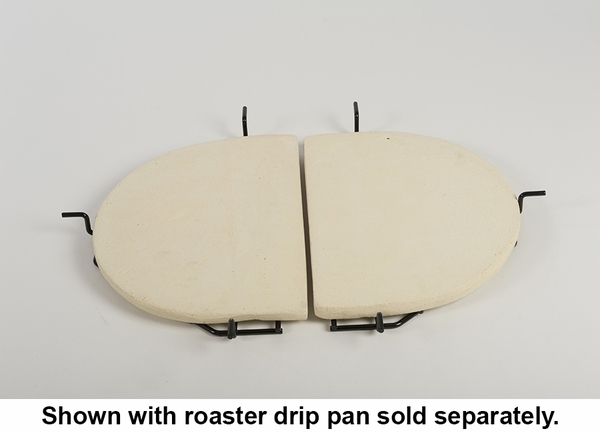 These can also be effective on drip pan racks, but you will still need to use a 9x11 pan as a drip pan. You can also help avert flare ups by using these. I used these deflector plates while smoking chicken and was very impressed with the results. They worked great. I did notice that this product is difficult to clean, so next time I will cover it with foil.